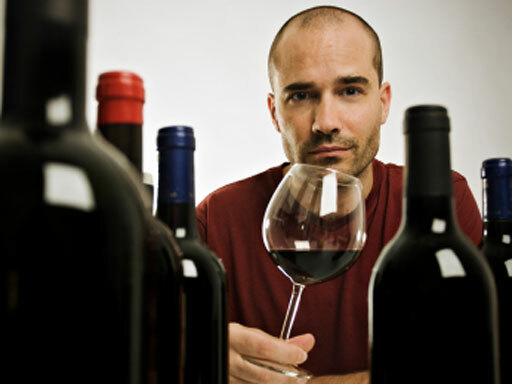 (CBS) Can red wine offset the negative health effects of a sedentary lifestyle? A new study suggests wine can be "exercise in a bottle." At least if you're a rat. The goal of this study was to see if an ingredient in wine, resveratrol, might help astronauts who often experience bad health effects from all that zero gravity inactivity. Weightlessness in space makes physical activity almost impossible for astronauts, resulting in a decrease in muscle and bone mass. Cue the resveratrol. Earlier studies showed it can be good for health, because it lowers levels of "bad" cholesterol and protects the lining of heart blood vessels, according to the Mayo Clinic. For the study, scientists mimicked the inactivity astronauts experience by hanging rats by their back legs. Half the rats received a daily dose of resveratrol, and half did not. What happened? The rats not given resveratrol experienced reduced muscle mass and strength and bone density, and developed insulin resistance - which is considered a prelude to diabetes. The ones that took resveratol didn't experience any of these negative health effects. How does it work? Weissman told CBS News that resveratrol "flips a switch" for cell metabolism that let's the cells "breath internally" - counteracting the detrimental effects inactivity has on the body's cells. In any case, there are about 200 studies that "show resveratrol has terrific effects on cells," Dr. Gerald Weissmann, editor-in-chief of the FASEB Journal where the study was published, told CBS News. But the study doesn't just apply to astronauts, since a sedentary lifestyle also limits physical activity for normal folks. "For the earthbound, barriers to physical activity are equally challenging, whether they be disease, injury, or a desk job, "Weissmann said in a written statement. But he concedes it'll take more than a glass or two of wine to reach the doses of resveratrol the rats took, so it's not time for people to start drinking their way to good health. "Resveratrol may not be a substitute for exercise, but it could slow deterioration until someone can get moving again." The Mayo Clinic has more on resveratrol. Secretary of Veterans Affairs Robert Wilkie joins Major Garrett on "The Takeout" to discuss his career of public service, his appointment to head the VA, as well as suicide among veterans and President Trump’s relationship with Sen. John McCain.